I know you spent your weekend wondering if I found time to make the donuts. Oh…You bet I did. 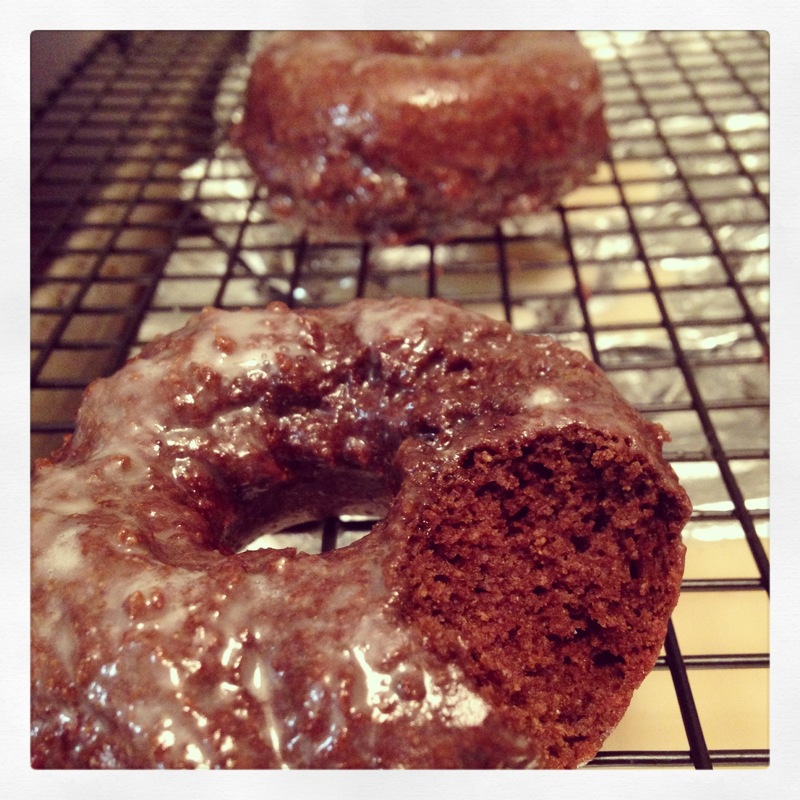 I actually squeezed in some baking time late Saturday afternoon before I went out for dinner. Sushi. Amazing. Sorry. No Pictures. I really wasn’t in the mood to bake but I felt that the activity would keep me moving around a bit which is key after running 13.13 miles. I was up bright and early Saturday morning for my long run. 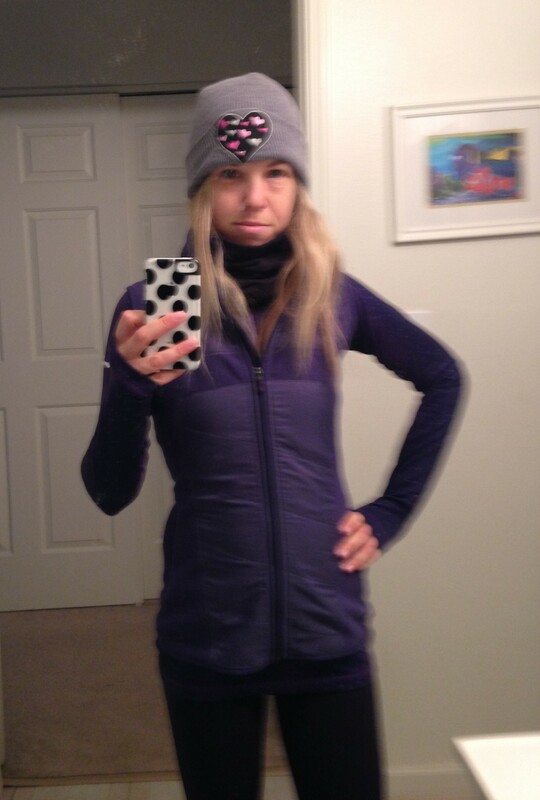 I bundled up in my layers and I am loving this Nike vest that I scored on sale for $31. As you can tell, my eyes were half-opened when I started my day. My plan after running those 13.13 miles (funny number to finish at, yes?) was to take a shower, put my pajamas back on, eat, and go back to bed. Now, going back to bed is not something I normally do but I decided I needed and deserved a mental health morning. I must say, rest is something special. I should do it more often. It doesn’t come naturally to me to lay around all morning but man, I could get used to it. I did finally get myself up just in time for lunch. 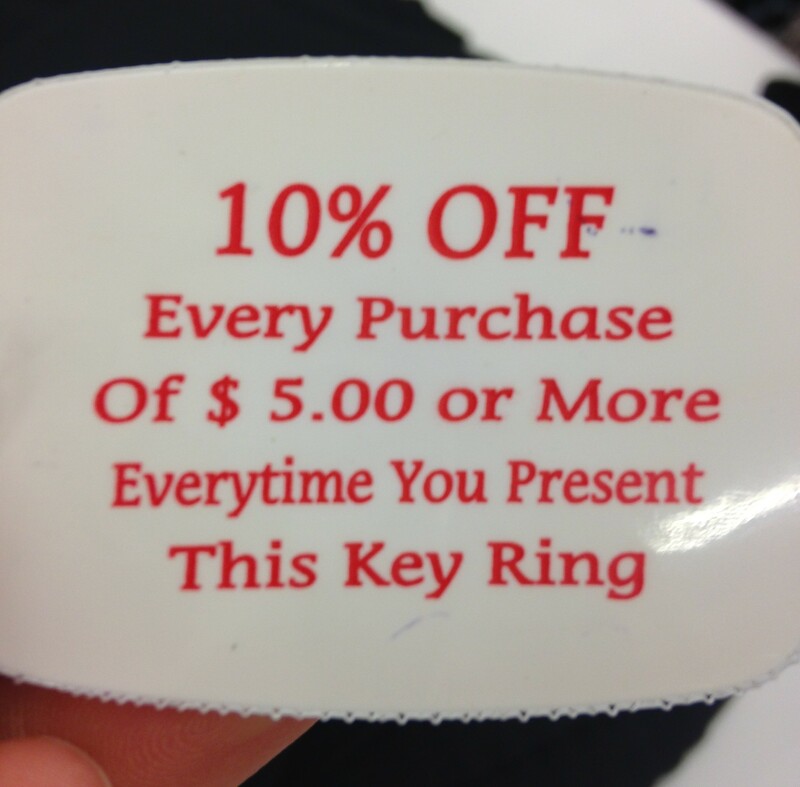 The owner gave me this discount key chain because I am a special customer. Actually, the only reason I received this special discount key chain is because I went calmly wild in the store after seeing the price of my parfait. My pretty parfait cost me $11. Eleven Dollars. Insane? Insane. They have once again raised the price per ounce and I felt the need to notify the staff of my displeasure. Their peace-offering after listening to me plead my case was a discount key chain. I will take it. Anyway, let’s discuss the donuts. I came home later in the day really tired but didn’t want to sit down. Once I sit, that’s it. And, as I said, sitting only causes stiffness. I can’t begin to tell you how fast and easy these donuts were to make. And yes, that is a bite. I couldn’t wait. I have little dessert patience. I followed Amanda’s recipe exactly (only using skim milk instead of almond. Have I mentioned I am allergic to almonds? Yeah, slightly. And sometimes not so slightly. Just like the walnuts). This is the beginning of the most beautiful of relationships. 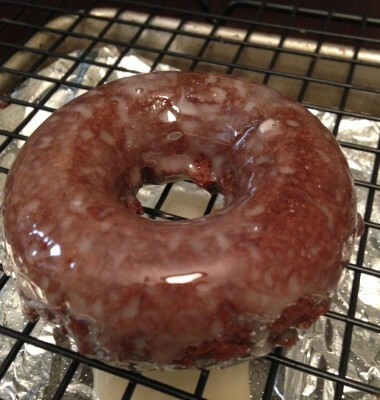 My donut pan and me. 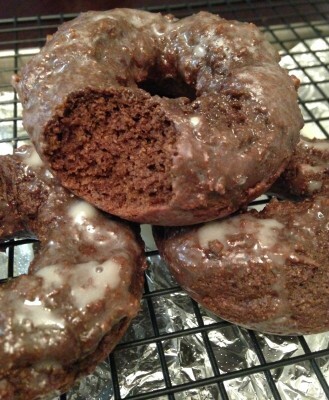 I have already gone pin crazy on pinterest in my quest to review some additional donut recipes to develop ideas on what to make next. 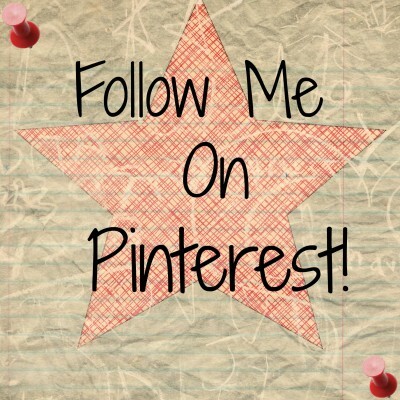 Go ahead, click the pretty picture and follow me. I even created a board dedicated to donuts. You would think making donuts or receiving a special Red Mango discount key chain is the most exciting thing in my life at the moment. 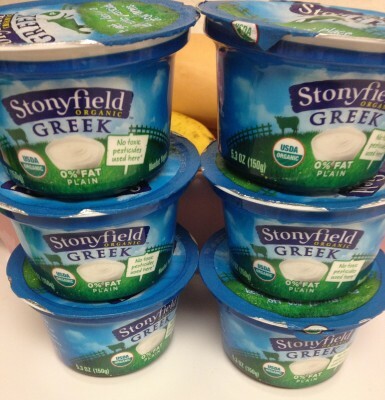 Stonyfield Organic Greek Yogurt is ON SALE. Have you ever tried their greek yogurt? In my opinion, it is absolutely the best tasting, but the MOST EXPENSIVE. I don’t buy it often, as in I don’t buy it unless it is on sale, which is basically never. It normally costs a dollar more per container than Chobani or Fage and as much as I love it, I can’t justify spending so much more. All of those dollars add up. When I saw the roasted vegetable variety yesterday when I met my friend at Whole Foods for lunch, I didn’t know what to do first. It took great restraint to not sample my way through the food bar. OK, I admit to sampling the roasted cauliflower. A few times. But come on, how could you not? If someone had told me when I was a teenager that eating a box of roasted broccoli, cauliflower, Brussels sprouts, squash, eggplant and mushrooms topped with beets and tofu would excite me one day, I never would have believed it. So here we are at Monday. I have a bit of a busy week ahead, especially today with the little boy off from school. Routine doctor appointments, a playdate and weekly sports class. And of course, a chilly morning run before all of the fun begins. Do you find that your frozen yogurt creations are costing you more and more these days? Which greek yogurt is your favorite? Do you choose which brand you buy based upon the price? 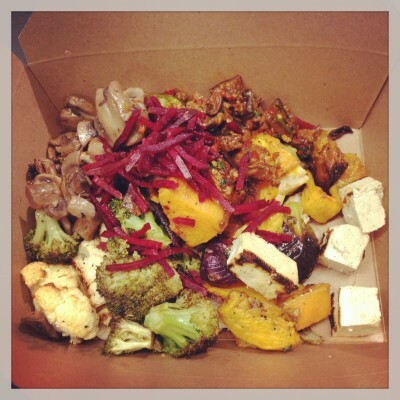 What do you go for at the Whole Foods Food Bar? No Bake Trail Mix Bites – Two Recipes! I can’t even imagine being allergic to almonds. Almond butter, almond milk… I eat it daily, and most of the time, more than that! 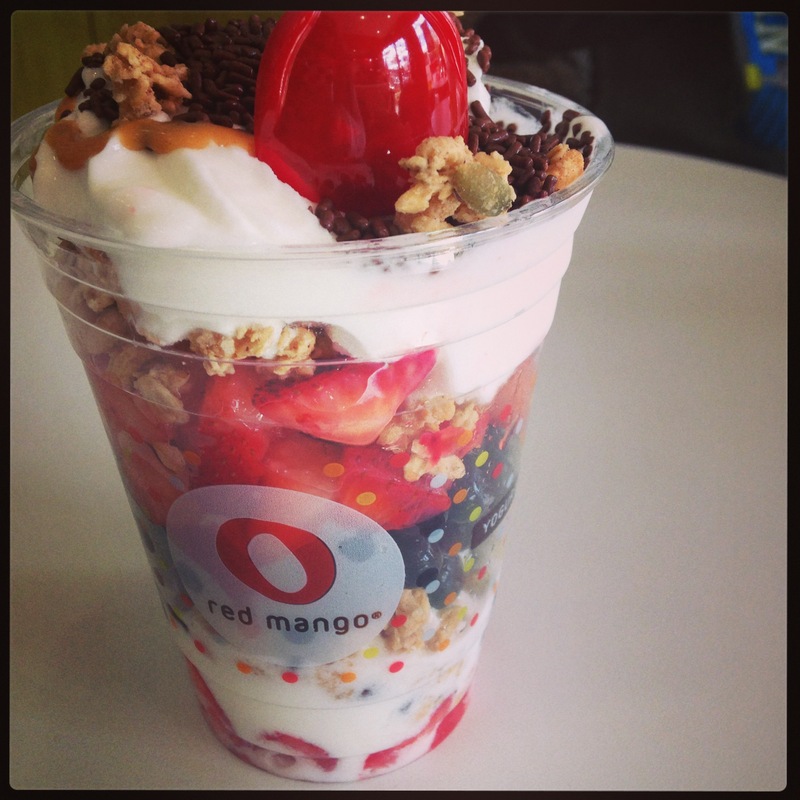 Your parfait looks super yummy. I can’t imagine paying $11 for it. Holy moly, that’s a lot of money. You should start a rally against Red Mango charging 11 dollars for a parfait. You make the picket signs. Your comment about your food from WF totally cracks me up. I am the same way. 3 years ago I would have thought you were crazy if you told me I would be eating (and loving) tofu now! Isn’t it amazing how taste buds change? 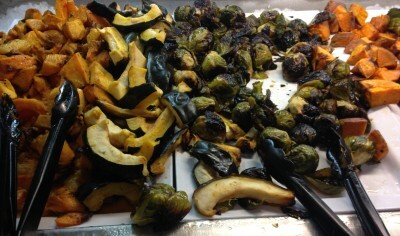 Never would I consider tofu, let alone get excited about roasted vegetables. I swear I didn’t know what to take first! I would totally throw a fit if my parfait cost $11!! I’m a little afraid to look into your Pinterest board — I’m not sure I can handle a donut addiction in addition to all the other ones I have 😆 And speaking of addictions — ooooomigosh the Stonyfield Greek yogurt! I’m pretty sure they’re the ones that make Oikos for us up here, which is my favourite brand of yogurt that there is. And I seriously LOL’d at your comment about your WF salad. I look at the things I eat now and yeah… complete 180 from my Poptart and Mac ‘n Cheese days. Yes! – it is the Stonyfield Oikos which they now changed to just Stonyfield Organic I think. It is the best best one and I think I recall the only one you buy. It is just soooo pricey when not on sale. I am stocking up big time this week. gotta say the title of this post preeeeetty much covers all the daily essentials. 😉 those donuts look wayyyy to yummy!!! and food costs, i swear if i didn’t have to fund my eating i’d be a billionaire!! wat’s up with prices?!? !